I first heard the term "primer" on an episode of What Not To Wear. The lady featured on the show worked as a truck driver, so pink lipstick and bright eyeshadows won't be a part of her daily wear-to-work routine. What Carmindy (the makeup artist on the show) recommended was regular skincare with a moisturizer, followed by a primer. This, she said, would keep her face looking fresh without looking made up and would also form a slight barrier against the skin-irritating pollutants that she would encounter as part of her work - and the difference was subtle yet obvious - and that's how I started experimenting with primers. How do makeup primers work: Depending on what you are looking for, makeup primers are available in a variety of formulations and serve just as many varied purposes. At it's most basic, a primer works by filling in skin irregularities and smoothening it so that any makeup you apply over it glides on much more easily. This also means that you can get away with applying lesser product than you would normally use. Most products that form this smooth, velvety film are pretty high in silicones, and might not be suitable for all skin types. Some I have tried include DHC Velvet Skin Coat. I also got myself a tube of the much raved about Smashbox Photo Finish primer but haven't gotten around to trying it yet. How to Apply Makeup Primers: I usually apply a primer following my regular moisturizer - apply the moisturizer, allow it to absorb, and then apply the primer. The one thing I have noticed with primers, especially the smoothening/film-forming ones, is that using a smaller quantity of product provides the best results. Use about a pea size or less and spread it over the entire face. Primers form a layer over the skin and aren't meant to be absorbed into the skin, so use spreading motions rather than trying to rub it into the skin. Is it necessary to use a makeup primer? I love the effect that some of the brightening primers give - a healthy well-rested sort of look - and I do tend to use them on their own, without any other makeup except for maybe a powder, when I am in a no-makeup mood or just out on a short errand. The pore-minimizing/smoothening primers do a wonderful job at providing a smooth canvas for any further makeup, but partly because I have sensitive skin that doesn't take too well to silicones and also because it's just another extra step, I almost never use these. 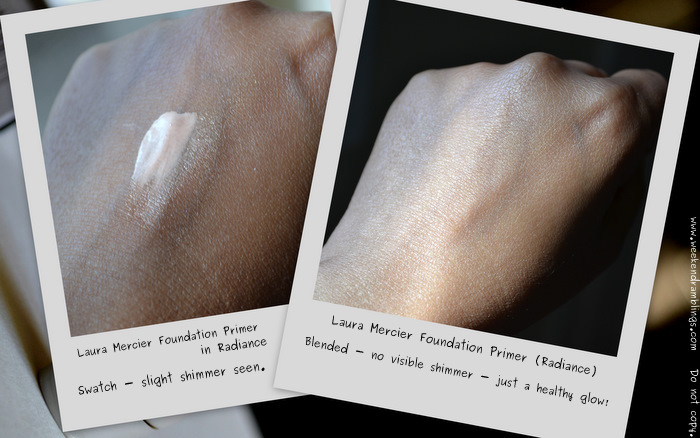 So the short answer to whether or not you do need a primer is - it depends :D If you have a long day ahead and absolutely need your makeup to stay on without the fuss of extra touch-ups, you might want to give primers a try. Also great if you are looking for something to make your skin looked polished but do not want to bother with too much foundation/makeup. Find primers too much of a hassle? Try a silicone-based moisturizer such as Clinique's Dramatically Different Moisturizing Gel since it does smoothen out the skin to some degree. So, that was my take on primers. Do you use primers - any favorites?